Did you see a project that you loved? There are two main ways to place an order for Stampin' Up! 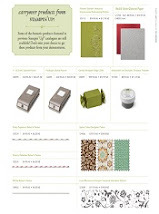 products - you can order at a workshop party or you can order directly from me. I can take phone and email orders and have them delivered anywhere within Australia, orders usually arrive within 7-10 working days from the date the order is placed. 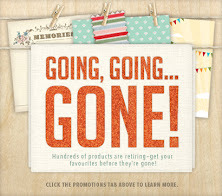 NB: I cannot accept orders from outside of Australia as this is against Stampin' Up! policy and you have to contact a demonstrator within your country. Ordering by email: send a message to gerlach@iinet.net.au with your order list, including the 6 digit item code, a brief description and cost of each product (e.g. 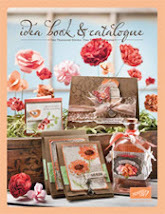 to order the stamp set Got Treats you would write: 120627 Got Treats - clear mount $32.95.) please ensure with stamp sets to clearly indicate if you want wood or clear mount options. Please also include your phone number so I can check with you quickly if I have any queries. Once I have received your order I will contact you for payment. If I haven’t contacted you or sent an email to you within 24 hrs please give me a call or SMS just incase your order was lost in cyberspace!!! Call me on 0421 482 578 with your order with the item description(s). s: I can accept payments by either by credit card, direct deposit to my bank account or cash. Shipping & handling: All Stampin' Up! orders attract a shipping fee, with a minimum shipping cost of $5.95 or 5% which ever is greater. Hostess Benefits: All orders over $300 (not including shipping) are eligible for Hostess Dollars and, if eligible, 50% off any catalogue item(s) depending upon the size of the order. 50% off items still attract postage fees as do spending amounts over your eligible hostess dollars. You can check the latest hostess benefits here.